the Next Round: Megaman the 1990's Animated Series Season 2 Commentaries by Retrokaiser and Hannu. Megaman the 1990's Animated Series Season 2 Commentaries by Retrokaiser and Hannu. 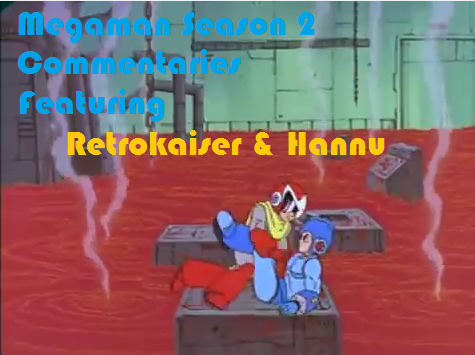 Join (TNR's) Retrokaiser and (White Devil Podcast's) Hannu in a collection of commentary madness spanned across four episodes from the second season of Megaman. (Click "Read More" to see all the links). To download tracks, just right click and hit "Save As...". You can find more of Kaiser's stuff right here on the site.